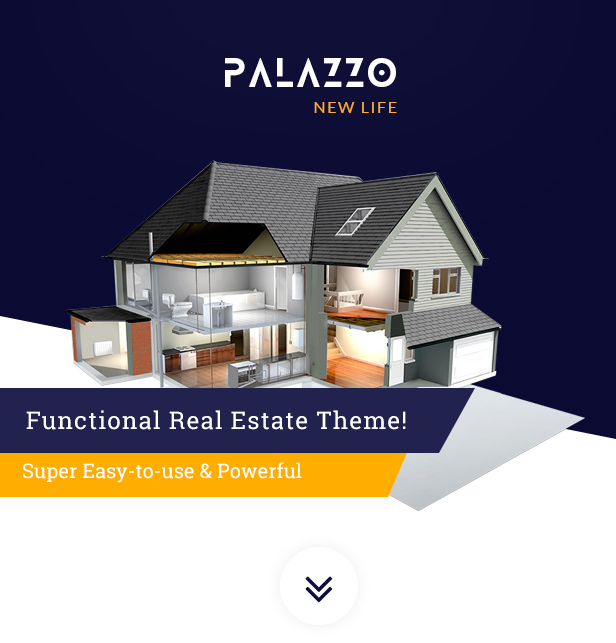 Palazzo, Beyond Functional Real Estate Theme, is our effort for a new and a great user experience in building up a real estate site. The theme is not only a theme for real estate business but also a great solution for all related real estate terms. We take care all needs that real estate agents, agencies and companies wish them being available in. Also, with easy-to-use front-end and powerful backend features the theme will engage to more users. - [Fix] Front-end style issue. 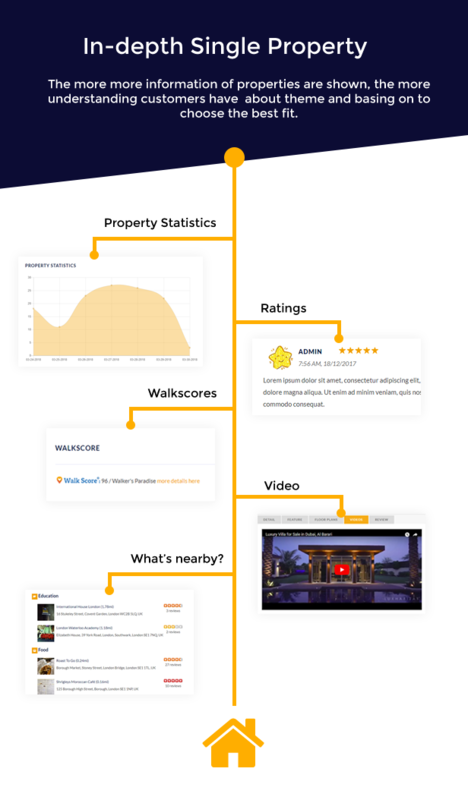 - [Improve] Submit Property upload image. - [Improve] Page options issue. 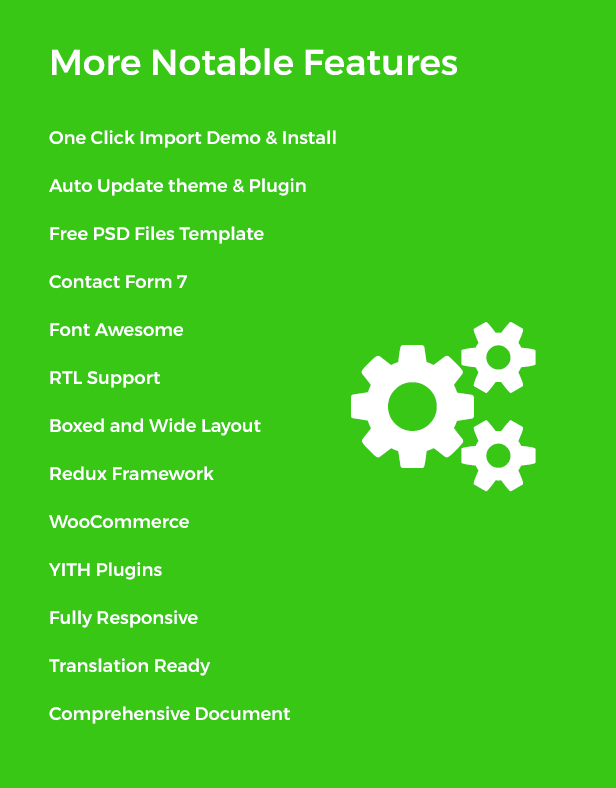 - [Add] Quick setup for New Install. - [Add] Property Ref number config. 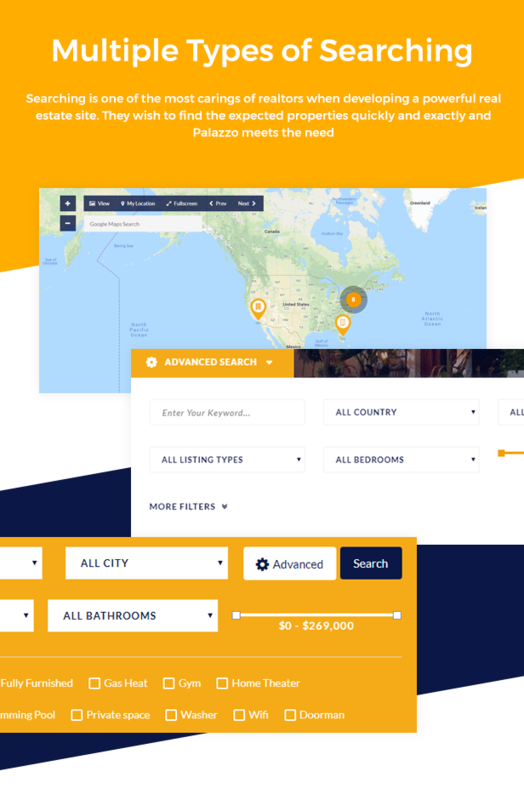 - [Add] Search function for Property Ref number. -  [Move] Custom-style.css file to upload folder. - [Fix] Yelp Nearby API key changed. - [Fix] Property Search result issue. - [Fix] Location popup windows on the Property details. - [Fix] Delete agent issue. - [Fix] Get the Type, Offer issue on the Shortcode. - [Fix] Sticky left sidebar issue and the mobile issue. - [Fix] Inactivate plugin issue. - [Fix] Properties list Shortcode load more issue. - [Fix] Dummy data issue. 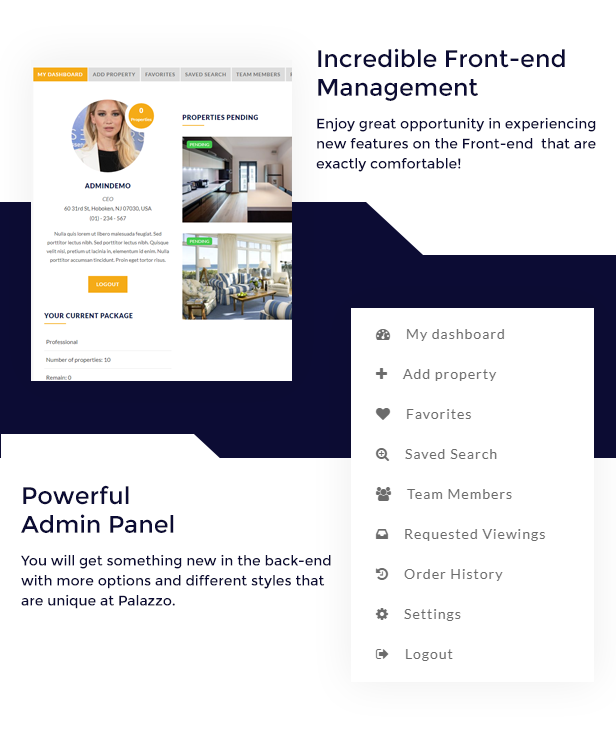 - [Fix] Set featured property via front-end management issue. - [Fix] Edit, publish, delete action on table view - Front-end management. - [Add] Confirm message when deleting property - Front-end management. - [Fix] Show all tab content on the Property details page. - [Add] On/Off neighborhoods function on the Property details page. - [Fix] Noo Mailchimp issue on the dummy data. 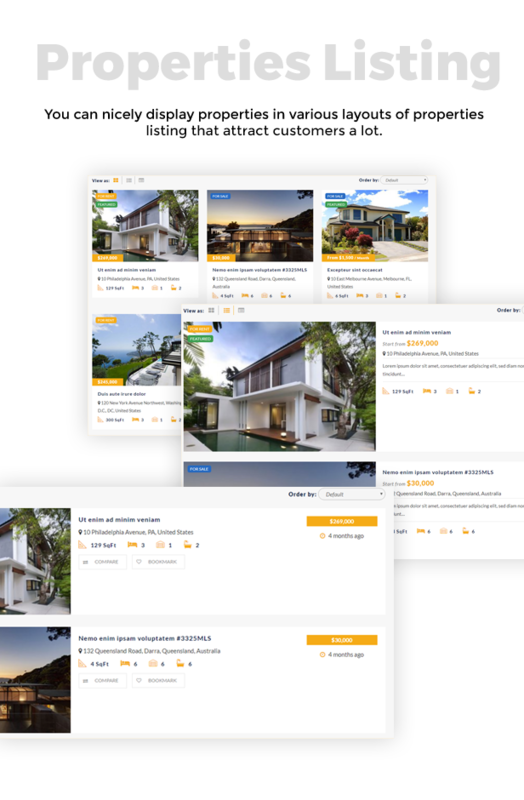 - [Fix] Properties listing page with Ajax search issue. - [Fix] Noo Property listing - loading issue. - [Fix] Properties grid layout on the Safari browser. - [Fix] Styling option issue. - [FIX] Custom property contact, agent contact form not display at front-end. - [FIX] Topbar scheme custom in the page setting. - [FIX] Properties responsive issue. - [FIX] Login/ Register popup issue. - [FIX] Front-end submit property issue. - [FIX] Advanced search listing offer issue. 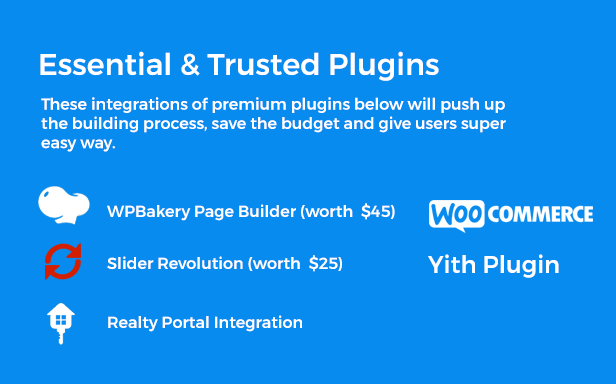 - [CHECK] The latest WordPress 4.9 and plugins.